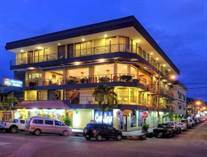 Quepos and Manuel Antonio are located in the Central Pacific region of Costa Rica along the coast where the beach meets the jungle. 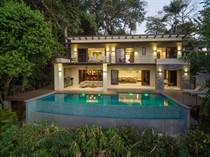 One of the most popular destination for visitors, this area is also admired by many seeking luxury second homes in a true paradise. Ponce de Leon, the Spanish explorer whose futile search for the Fountain of Youth became his signature expedition, is rarely recognized for one of his greatest discoveries—Quepos and Manuel Antonio—which he put on the map in 1519. So abundant are the riches of Costa Rica's Central Pacific coast, that he might have found his fabled fountain had he gone ashore and explored the region's mesmerizing beaches and jungles, its exotic wild-life and intoxicating treasure-trove of natural wonders. 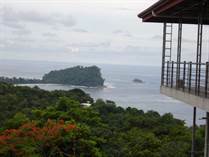 "The Jewel of Manuel Antonio"
"Just Reduced, Worth a look"
"Postcard perfect view of the park!" "Check out the virtual walk-though tour!!" "You must check out the 3D Virtual Tour"